Rose flower, dry ginger, rock-salt, leaves of Svarna-patri (Sanay), Jangha Haritaki (Harad), Krishna-bija (Kala-dana), Mishreya (Saunf). 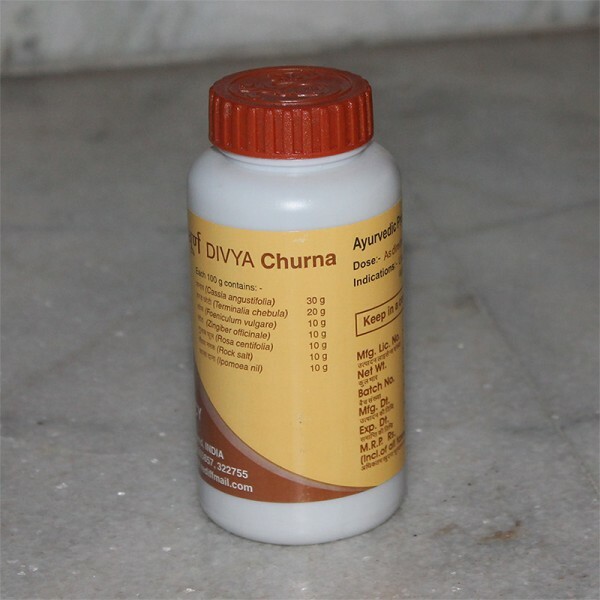 Cures constipation & takes out the faeces adhered in the intestines; activates intestines, so the internal layer of intestines does not allow the faeces to adhere there again. Totally clears the stomach; removes disappointment & makes the body active. Helps in curing abdominal pain, flatulence, heaviness & nausea. To be taken at bed time with warm water.